Raf has been making furniture professionally for thirty-two years. 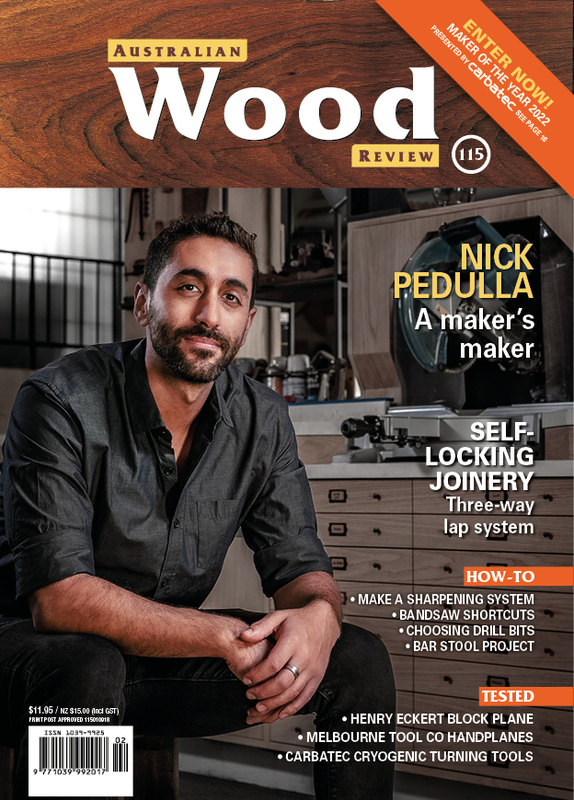 Along with Linda Nathan, he started the Working with Wood Shows, then transitioned to the magazine Australian Wood Review. He now makes designs furniture at his bushland workshop, writes for AWR, and is a part of the new Brisbane furniture group, Makers and Designers (MADE). Visit the Interwood Shop for more information.